Fans with a plain slip-fit inlet have no flange to bolt to, so there's no reason to have flanges on the flexible connector. If you have ductwork with no way to bolt a flanged flex connector to it, a slip fit connector is the solution. Slip fit connectors have steel bands to slide over the inlet ring and/or ductwork. Once installed, just tighten a few bolts to hold everything in place. Many pressure blowers are furnished with tubular inlets or outlets. 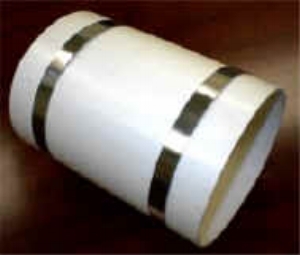 Due to either high pressures or high velocities, standard flexible connector sleeve material may not always work. In those cases, BAM can provide sleeves made of EPDM, Neoprene, Nitrile, or other rubber-type materials. Not only can these materials better withstand certain environments, they also help to contain the noise generated by the fan within the ductwork.